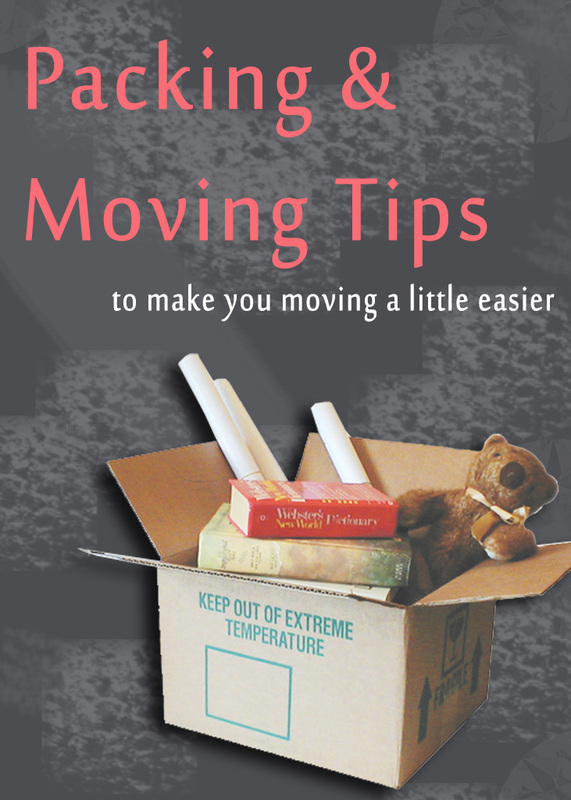 Just wanted to share with everyone some packing and moving tips that I learned over so many movings. People move for so many different reasons, perhaps they feel in love with something like these 2 story homes perth, perhaps they are just moving for work. Whatever the reason, moving is hard. Which is why it is a good idea to read these tips to try and help you de-stress. Some of them might seem common sense, but I’m still including them, for the simple reason that when you’re in the middle of a moving could be a VERY stressful and overwhelming time, that makes you forget about common sense. The first thing you’ll want to make sure you do though (and you might say that this is incredibly obvious), it make sure you are in the process of selling your house and that it’s on the market. I once had a friend who got so excited about moving that they actually forgot this very important step, but luckily they just looked up something like Sell My House and they were sorted. 1. Start with decluttering your belongings. It may seem like this has nothing to do with packing and moving, but the less stuff you have to pack and move, the less work you’ll have. And is also less stuff to unpack later on. Do a yard sale, donate or trow away what is no longer needed. 2. Start packing early, a month in advance if possible. The more work you do in advance, the less work you will have to do all together. Of course, start packing what you won’t need. I start with the clothes of the opposite season. Right now, as I prepare for another move, all the winter clothing is already packed away. If we were in winter, then all the summer clothes would be the place to start. 3. Leave the necessities for last. The same way you can start with what won’t be used, leave the everyday items for last day packing. If you pack what you need on a everyday basis it will only make the moving more frustrating. 6. Eat out the last few days before moving. Wanted an excuse not to cook, here is a very valid excuse. By eating out the last day or two before the moving, you won’r be getting your dishes and pans dirty, and this will allow you to have them packed already. Also, most of your stuff will be packed already, you house will most likely be full of boxes and feel more like a storage than like home, eating out will allow you to rest just a little from all that mess. 7. If possible keep little kids away. Young kids will want to help, but we know that a 4-5 years old can’t be moving big boxes, and even if he/she helps with the small boxes, most likely will be in the way and will make it slower to put everything away. And I don’t even need to talk about younger kids. Can someone babysit while you’re moving boxes? Maybe you or your spouse can take the kids to the park while the other takes care of the moving. 8. Bubble-wrap all the fragile items. Remember to take special care when packing all the fragile items, glasses, mirrors, picture frames and so on. Either using bubble-wrap, packing paper or any other way to protect them. 9. Leak-proof any liquid products you plan to move. Will you take with you opened cleaning supplies? Bleach, windex, detergent, liquid soap, and other liquids like Shampoos and conditioners, shower gels and soaps, etc? Well, then you better take an extra measure when closing them so they won’t leak. Use packing tape to close it, place them in a zip-lock bag, and last instead of a cardboard box that will be destroyed if anything leaks, use a plastic storage container, so if anything leaks, at least it will be contained and it won’t damage anything else. 10. Create a checklist to follow. With all the stress, the chances are that you will forget some things. So, before all the stress even starts, sit down with some free time, get a cup of coffee or tea, and create a checklist of all the things that need to be done. Hopefully these little tips will help you keep that overwhelming moving under control. If you have any tips to share, please comment bellow. I am in the middle of a moving to Alaska, and any tips and tricks will be GREATLY appreciated! If you’re looking for a moving company then look no further, have a look into – REAL RocknRoll Movers Pasadena: The Moving Company That Rocks! Contact Us Today For Pasadena’s Best Mover Estimate.